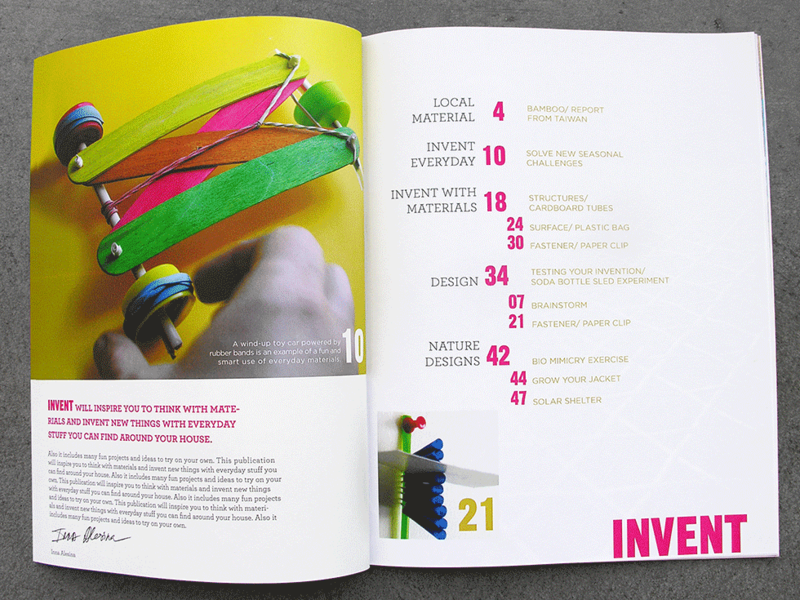 Kidvent is a concept publication for kids and parents. 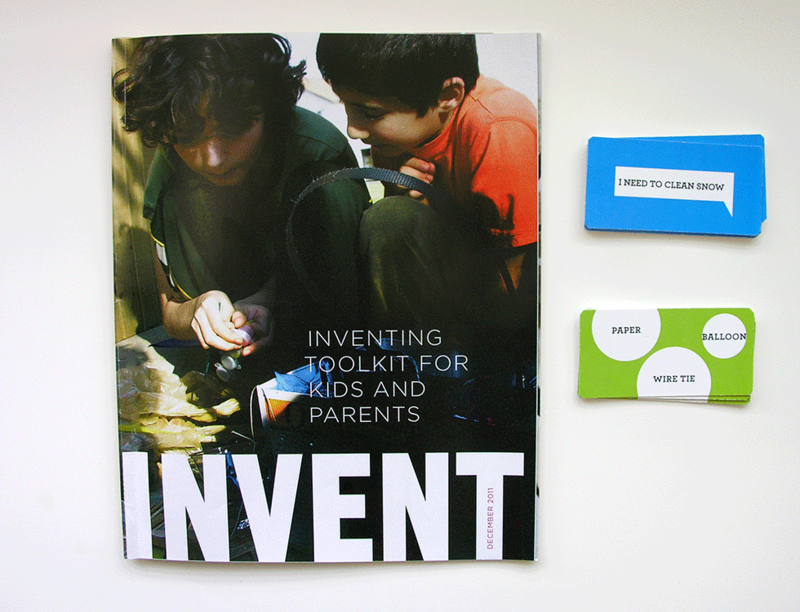 It’s based on INVENTOMANIA challenge cards that prompt inventing and problem solving. 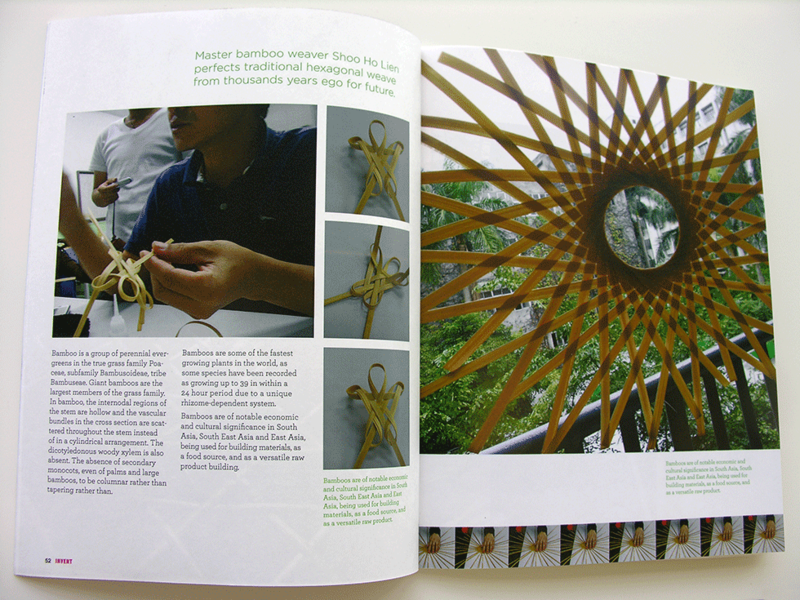 Check out “Ready, Set, Design” feature, that Cooper Hewitt produced based on Inventomania activity. 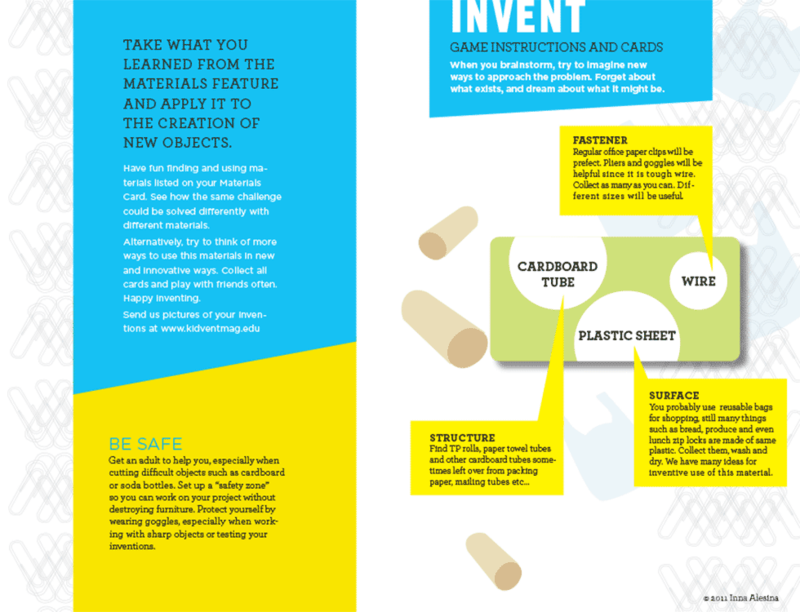 There is also an accompanying PDF with instructions on how to run this activity at your school or office.